Cancer can happen to anyone. You could almost call yourself lucky if you don't get it. Being diagnosed with cancer is a huge shock, completely out of the blue, for anyone. Why is this happening to me?! 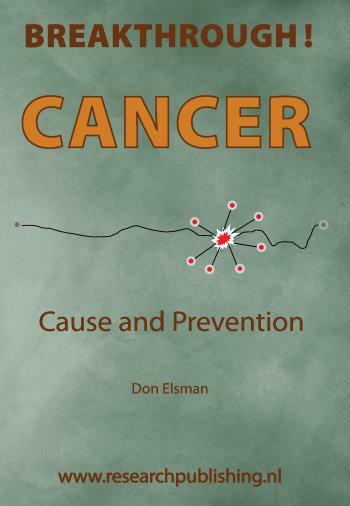 Why does the WHO in 2016 ask to take preventive measures against cancer, while physicians are only able to detect cancer at an early stage? Why has the number of cancer patients today doubled since 1990??! What has happened in the (recent) past that caused the human race to suffer from this plague in the last 50 to 60 years??! The content of this booklet is not about following food regulations, banishing sugar, exercising, or anything like that. A clear cause will be identified. A clear solution will be presented. Read what crucial blunder has been made that caused the massive worldwide(!) growth of cancer! This is CODE RED!